Before the weekend and before the month ends, here are the most exiting timelimited casino promotions that we found on the net. 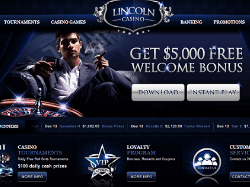 When it comes to tournaments, especially slots tournaments, Lincoln casino is the best you can get. They have multiple daily, weekly and monthly events that you can enjoy. Some are free while others with buy-ins and guaranteed jackpots. For 4th of July they prepared something special for USA slot machine fans: $10,000 guaranteed event which will be open from June 1st and end up, you guessed it, on July 4th. To participate in the tourney all you need to do is sign up to Lincoln casino, make a minimum deposit ($25) and register for the event, which features the popular WGS Fat Cat slot. 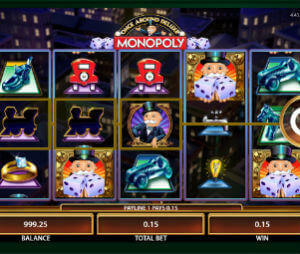 We recommend that you make a few spins in advance, to get to know its various bonuses and features. Royal Panda celebrates the arrival of the popular NextGen slots and offer all players 140 free spins on 7 different slots. You barely need to move a finger to get them. 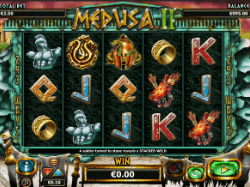 Just sign up or log in to your Royal Panda casino account and make 50 spins on Medusa 2 between 27th till 29th of May. These of course need to be done for real money and not fun play. That’s it. Btw, you can also take advantage of Royal Panda casino welcome bonus of $/€ 100. Last, but not least, Mr Green Casino, with their line of special promotions. 1. Perter & the Lost boys €20,000 treasure trove: From 24th till 30th May Mr Green will be giving away €20,000 in prizes. To take part in this promotion all you need to do is make 20 spins on their exclusive slot machine, Peter & the Lost Boys, and you will get a ticket to the lottery. The prizes can vary from €50 and up to €5,000 in real cash. 2. Now it gets even better. To celebrate the launch of their newest slots machine, Michael Jackson: King of Pop, Mr Green will be flying two lucky players to Michael Jackson ONE show at the Mandalay Bay Resort & Casino in Las Vegas. How to take part? 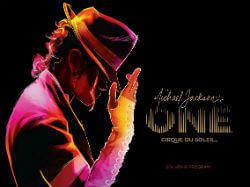 To get one lottery ticket you need to wager €10 on Michael Jackson: King of Pop slot from 25th May till the 5th of June. More you play, more lottery tickets you will get. 3. Last, Mr Green will also be running IGT’s €15,000 Cash Giveaway. All you need to do is play one of IGT most popular slot, Wheel of Fortune Triple Extreme Spins between May 26th and June 5th. Similar to the previous one, every €10 wagered will give you one entry ticket to the Cash Prize Draw.